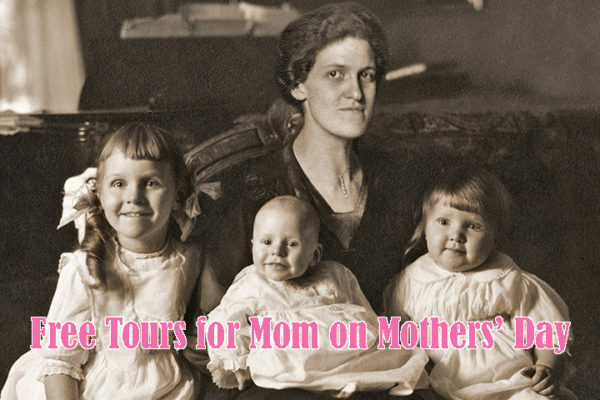 In honor of mothers, the Octagon House Museum will offer free tours for moms on Mothers’ Day, Sunday, May 12th from 11 a.m. to 4 p.m. Mothers who are accompanied by a child of any age are admitted for free. Guided museum tours begin on the hour with the last tour starting at 3 p.m.
Sunday’s visitors will have an early look at this year’s décor theme “Prohibition: Temperance or Speakeasy.” This year’s theme shares a story of how Prohibition was experienced locally. Prohibition began 100 years ago when the 18th Amendment to the Constitution was ratified January 16, 1919, prohibiting the production, transport, and sale of alcohol. After the tour, complimentary refreshments will be served in the Carriage House, located just behind the Octagon House. The Museum Gift Shop will be open for browsing and shopping, featuring decorative items for the home and garden, and Victorian inspired gifts. Admission is $10 for adults, $3 for students, and children 5 and younger are free with an adult. The museum offers 20% discounts for Military, Seniors (65+), Group of 10 or more people, and AAA Members.